← KEA 2019 Voter Registration – What Name’s on YOUR Account? 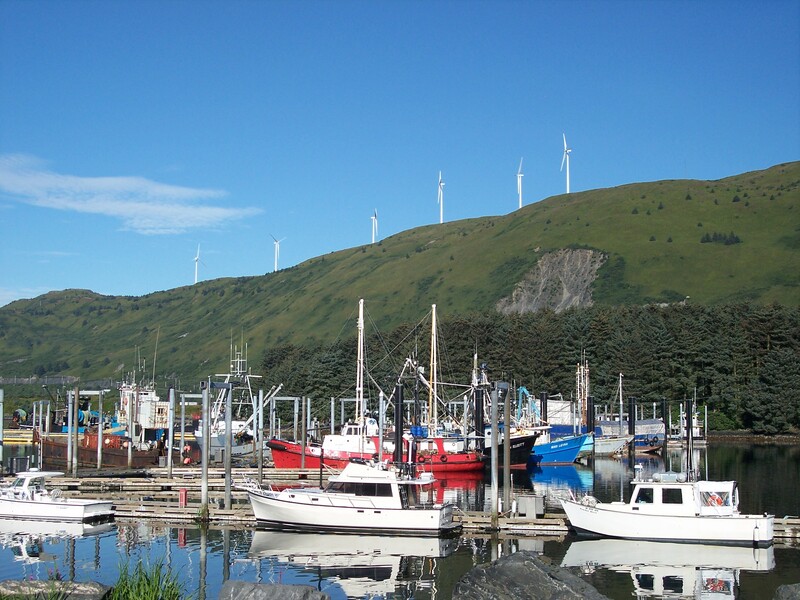 The Pillar Mountain Wind Turbines are a beautiful background for boats in the St. Herman Harbor on Near Island. Do you want to serve on the KEA Board of Directors? Stop by the KEA office at 1614 Mill Bay Road to pick up a Nominating Petition Packet. This packet has important information about serving on the board and the documents necessary for you to complete to become a candidate. To be an eligible candidate, you must be a member of KEA. KEA members elect the nine directors to the KEA Board to represent their interests in the governance of the cooperative. Each year, KEA members elect three members to serve on the board of directors through a formal democratic voting process by mail. The term of office for each of the nine directors expires on a staggered basis, and incumbent board members can seek re-election with no maximum length of service. All directors are elected for terms of three years and serve until their successors have been elected or appointed. This year, the seats currently held by Linda Freed, Gordon Gould, and Jay Johnston are up for election. The deadline to submit your completed packet is 5 p.m. on March 13, 2019. It’s all about Community…serving on the KEA Board of Directors. This entry was posted in Annual Membership Meeting, Board of Directors, Uncategorized. Bookmark the permalink.